Building your home from scratch is an exciting and unforgettable experience. However, it can also be very daunting at the same time. Knowing what choices to make for you and your home can be very diﬃcult without the right builder. 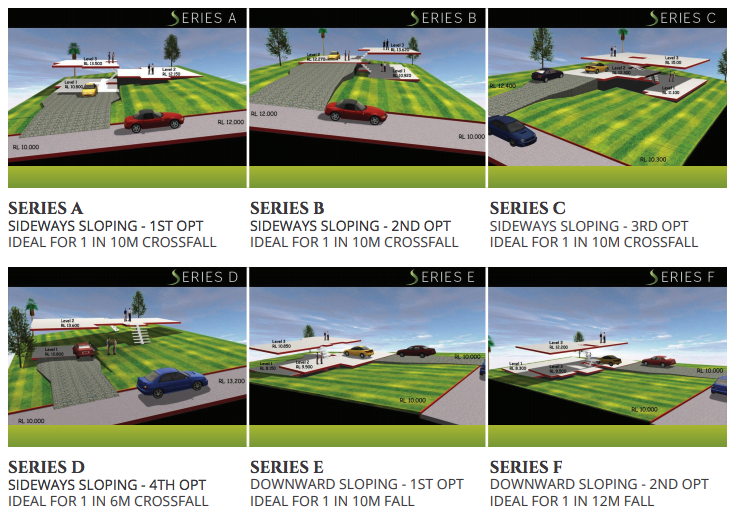 In this document, we will cover the issues that can arise if an experienced sloping site home builder is not selected. 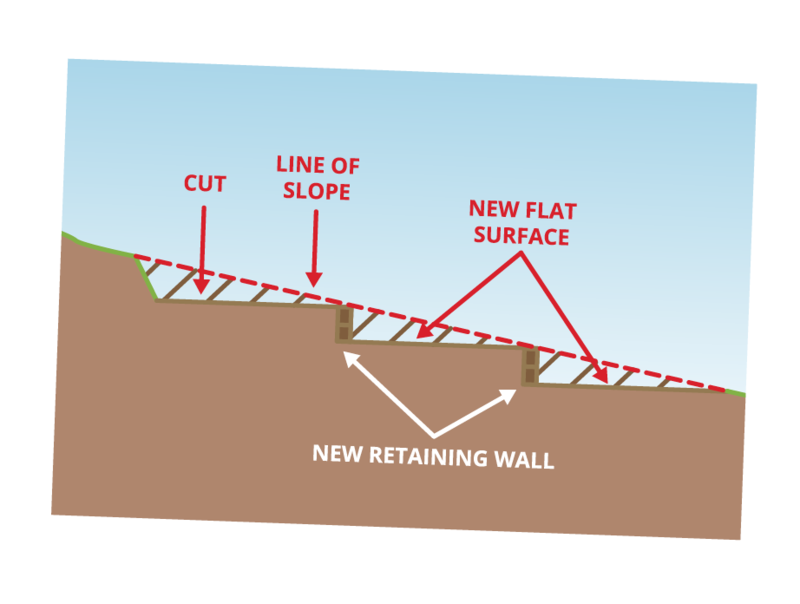 To start, we’ll highlight two core components of building on a sloping site, then follow with what you need to be aware of to avoid costly issues with your build. 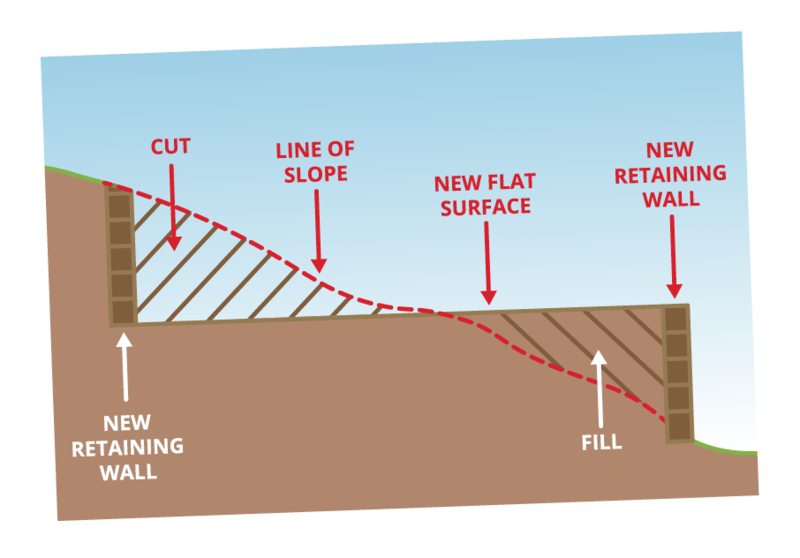 Put simply, cut and ﬁll is the process of removing all the material from one area of land, then using that material to ﬁll in the other section. This creates a ﬂat plane for the concrete slab to be laid. The house is then built on part of the ﬁlled area and part on the level below the ﬁll. This results in a retaining wall or cliﬀ face right next to the house. To the left is an example of a single-level cut and ﬁll, however, cut and ﬁll can also have multiple levels. Split level homes oﬀer the ideal solution when tackling the challenges associated with most forms of sloping home sites. It diﬀers from traditional home layouts, where there are at least two distinct storeys and a full ﬂight of stairs in between. Split-level homes, in contrast, have shorter levels (at least two or three) and are connected by short ﬂights of stairs. Split level houses are unique and beautiful homes that allow you to fully utilise your land while maximising the feeling of space inside the house. The nature of this design allows for more privacy due to the ability to have living spaces on diﬀerent levels. For example, the family, dining and kitchen on one level, and bedrooms on the other. Aside from the availability of space, the layout is more organised, practical and adaptable to custom decoration. Split level homes can also take advantage of natural light and scenic views if you so happen to have one. 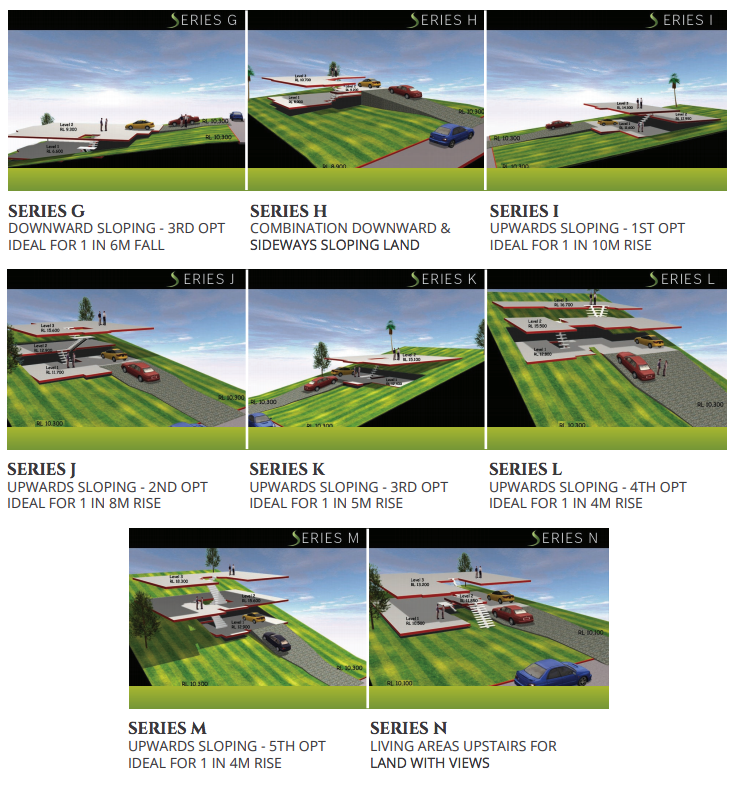 Choosing the right split level home design for your particular home site can also be the answer to achieving the challenging requirements of Council in relation to cut and ﬁll restrictions, regulations relating to maximum driveway grades, building height regulations, and restrictions on the overall bulk and scale of new homes.